As a world leader in Microsoft Cloud and System Center, their mission is to make your working life ridiculously more productive by bringing service and asset management together - that’s the Cireson Platform. Their headquarters are located in sunny San Diego with offices throughout North America, Australia, Japan, and the United Kingdom. 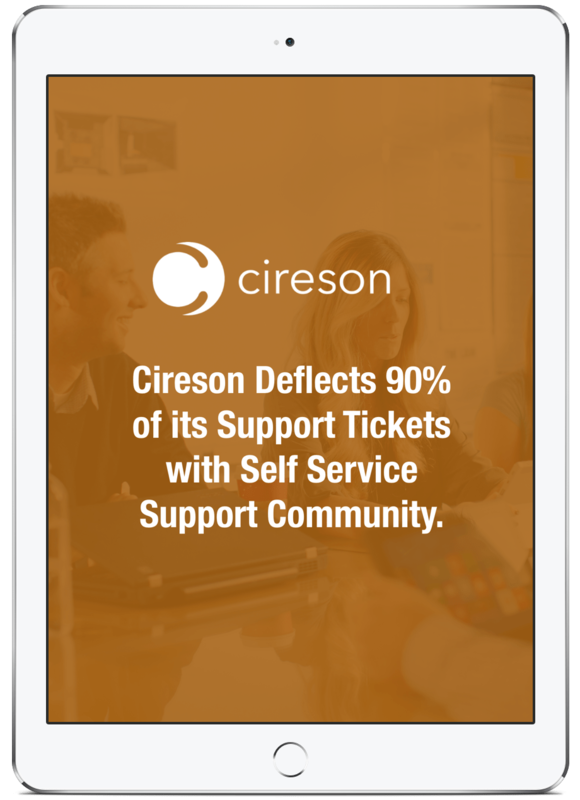 How Cireson's deflects 90% of their support tickets, without putting extra burden on their support staff. How Cireson realized an unexpected benefit using community bu engaging customers, through the sharing and voting on suggested ideas. How Cireson’s crowdsourced responses have increased customer satisfaction. Bonus vendor evaluation from analyst firm Demand Metric. Download the full Cireson case study today!